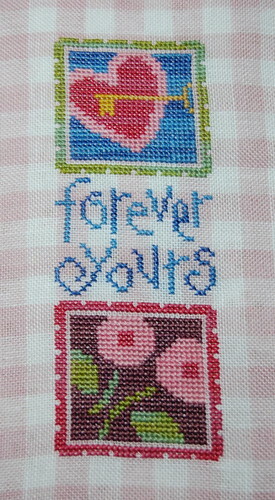 Nicole's Needlework: Forever Yours Finished! Boy, it seems like it took me forever to finish this little design. I guess I was more tired than I realized from all that driving. I finally got it finished up last night. Very pretty finish. I looked at your wishlist, impressive. I have finished stitching the SB fob, you are welcome to the chart and the leftover linen. There's enough to do another fob. Just send me an email if you want it! It's a lovely finish! So cheery! That turned out really well. I like the fabric that you chose. 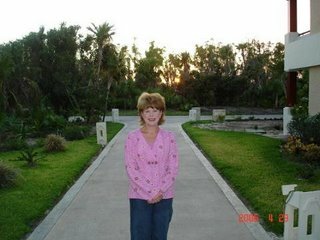 Very pretty, Nicole! Congratulations on another lovely finish. Your needle is flying, Nicole, and that finish is lovely. I also think the fabric was a perfect choice. Is it difficult stitching on the gingham? I definitely want to get the new LHN's too. Thanks for sharing your finishes. Very pretty Forever Yours. I wonder just how many bloggers bought the two new LHN designs? I know I did! Woo Hoo - My big start! Poinsettias and Pines Finally Finished! I Have a Major Case of Startitis!